Since 1967 Bellinger Instruments has proudly been providing our support expertise across all three arms of the Australian defence force. Over these years we have achieved notable accomplishments and our more recent achievements are listed below. Successfully completing literally thousands of overhauls and repairs for a vast array of defence equipment. Our work has returned faulty equipment to as new condition saving defence money and keeping systems in service longer. Navy Project 1780: design/supply and install of 40 Wide Area Differential GPS (WADGPS) systems including ancillary equipment on all Minewarfare and Hydrographical vessels including base stations in Sydney and Antarctica. Wide Area Differential GPS ongoing maintenance and help desk support for Minewarfare and Hydrographical Navy Vessels including base stations in Sydney and Antarctica. Link-16 design and installation in the ANZAC Class land based test site in Adelaide. Link-16 design and installation on HMAS ANZAC. Navy Seahawk Night Vision upgrades. Engineering Assessment and report for the Night Vision upgrade (NVG) of entire Navy Fleet. RX741 Surveillance Receiver Upgrade project for RANTEWSS. Design and Manufacture a replacement 24VDC uninterruptable power supply control modules for the 24V power supply systems on all ANZAC class vessels which had been made obsolete by the OEM. 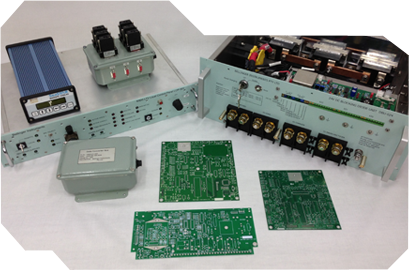 Upgrade and repair of 5 x RF Products Multicouplers used on ANZAC class communications system. Design and build portable Link-22 secure radio systems that provide Beyond Line-Of-Sight communications. It interconnects air, surface, subsurface, and ground-based tactical data systems, and it is used for the exchange of tactical data among the military units of the participating nations. Upgrade 3 x Diesel Generators temperature monitoring systems on HMAS Success.